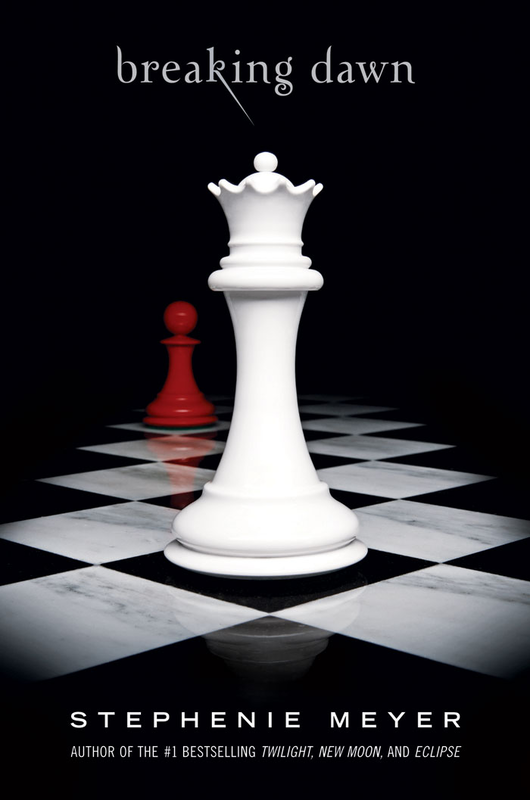 Finally got to read Breaking Dawn. Here’s my three sentence review. Starts slow. Waxes triumphant. Ends with a fizzle (kind of). It doesn’t take anything away from what the book series really is, though…one of the most haunting yet addicting stories ever written. As I was finishing the book, I started asking myself, what is it about this book, written for a supposed teenage girl audience, that enraptures a 30 something year old dad? And when it all comes down to it, for me, I think it’s the contradictions of love. Every guy wants that Bella, that girl who completes us, and yet, we’re vampires (or wolves) underneath the skin, struggling with the fight inside of us to no to ruin what we have. We’re constantly in a fight against who we are and who we want to be. When the Indie Girl and I got married, we used to laugh at people who were engaged who thought that being married would be like one long date. Yeah, life happens, it gets complicated, and can be frustrating. But, I think that Twilight shows a life obtainable…a relationship that can really be happy. One that I am constantly working towards, despite the “monster” I can be. Then again…it could just be that the idea of being a super strong vampire who lives forever and pretty much has all the money he could ever want is just REALLY cool. So, who knows. 1. At some point when you’re reading this book, and you read about the vivid romantic exploits of a newly married couple on their honeymoon, you start wondering…”Wait, how many 12 year old girls did I see in line to buy this book in August, again?” Yeah, the themes are too mature for pre-teen girls, I think. Book one was very easily pre-teen chick lit. But book 4? definitely aged at least 10 years. Which brought up another question in my mind: As an author, at what point do you decide to write for your audience and write in spite of your audience? 2. ***SPOILER**** I have to say that I was disappointed in the ending. I expected a fight. I really thought we’d see the Volturri taken down, and, a la another very popular book series, we’d see at least a few characters sacrificed. But in the end, it just fizzles. No one dies. 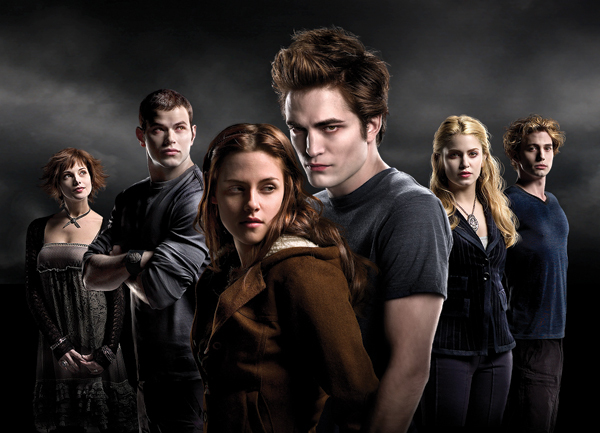 The Cullens and the Volturri make amends and part their separate ways. At one point, I started thinking that Edward was the tragic character…that in the end, Bella would die, and he would be left with Renesme as the memory of a love that was perfect…a love that could never be. 1. Never go to a serious movie with 150 hormone-crazed teenage girls. 3. 30 something year old dads should not be reading Chick Lit. So, I guess I had it coming. On to the movie review: I have rarely seen a movie that has done a book justice…it just doesn’t happen. It’s a testament to the power of the author’s pen. And Twilight might be just another example. Before I launch into any criticisms, I have to say that Twilight may very well be the best movie I’ve seen this year…but considering the only movies I’ve seen at the theater were Wall-E, Indiana Jones and the “We should’ve Stopped at Three Movies”, and High School Musical 3. 1. The movie editing and special FX weren’t up to par. But, it wasn’t too distracting, I just have a very strong image of how I pictured the scenes in the book. The Baseball Scene did not disappoint. I hope this movie grosses enough dough for a stronger production company to pick up the next movie. 2. They moved away from the plot a little. Only slightly. Call it a shift in focus from Bella to the vampire invasion and Edward’s conscience. 3. The ending scene with Bella in the Ballroom was not done well. Yeah, I know…it’s the climax, but it just wasn’t done according to the movie. The fight was ok, but they changed the events of the book a little, and put way too much emphasis on Edward…I don’t want to ruin it, so I’ll leave it at that. Twilight aficionados will know what I’m talking about. 4. The little film noire versions of Bella and Edward were too corny. Weird. Just didn’t work. 5. The directors sexed-up the movie a little bit more than I think Stephenie Meyer would have allowed… maybe giving her a cameo ordering a veggie burger was the concession there. That being said, I really loved the casting…it was perfect. Although, I was sure that Jacob was 13 in the first book…not a husky 18 year old. Besides that, the move was enrapturing and haunting and kept up the mystique of the book. Anyone who has read the Twilight Book series by Stephenie Meyer knows that a major part of each book is the soundtracks Stephenie listens to while writing (Muse usually gets top billing). I have to admit, it’s been one of the draws of the books because the power of the music is written into each agonizing experience and woven into the haunting tapestries of the book series. If you’re like me, you may have been anticipating the soundtrack as much, if not more, than you anticipated the movie. Well, since I’m planning on taking the Indie Girl to see the movie for her birthday this week, I thought I’d get into the Twilight mood and listen to the soundtrack….and after a first glimpse, I have to admit, it’s not as powerful or even “twilight-worthy” as I was expecting. First of all, letting Perry Farrell headline any soundtrack is probably a bad idea. But at least that song has the same feel of the songs listed in the books. But the rest of the CD isn’t all that spectacular, and I’m disappointed. It sounds more power punk than haunting. And where it diverges, it’s odd. Robert “Edward Cullen” Pattinson is trying to break into music now? And I never imagined Iron and Wine a goth-type outfit. I will admit, the high point is The Black Ghosts’ “Full Moon”. Fantastic piece. But other pieces by Linkin Park, Mutemath, and Collective Soul (really, they’re still around?!) are more of the same, and don’t do anything for me. I also don’t think Paramore is the greatest fit here, but the music isn’t that bad. I wonder what Stephenie thinks about this selection? BTW…reviews on Breaking Dawn (yes, finally) and the Twilight Movie are coming soon. So apparently, a lot of people are finding me through Google looking for early reviews of Breaking Dawn, the 4th installment in Stephenie Meyer’s wildly popular vampire novels. And yes, you can quote me on that….and then if you happen to meet a publicist for Stephenie, tell them to send me a book…and I can give a real review. So, early reports are that the cast set to immortalize Stephenie Meyer’s characters in the upcoming Twilight movie made a special appearance at San Diego’s “Comic Convention”…the report details that hundreds of teenage girls in the audience shrieked and squeeled to get their first peek at the movie and its stars. Forget about how Twilight fits in with the likes of Trekkies and Star Wars nuts…WHAT were teen girls doing at a comic convention? I just finished book two The Bartimaeus Trilogy: The Golem’s Eye. Simply incredible book. First, as I was going through The Golem’s Eye, I came to the realization that Stroud’s original hero (Nathaniel) is a bit of a tragic character. In fact, rooting for him is like rooting for Draco Malfoy in the Potter series. Nathaniel is every bit as power hungry and brainwashed as was Draco. In book two, Stroud introduces a new hero…or heroine, Kitty Jones. Second, the story was much more involved and fast paced than book one. It took a good few hundred pages before things started getting interesting in The Amulet of Samarkand. The story was good, but was fairly straightforward, without many plot divergences or multiple story lines. In Book two, there are at least 3 to 4 legitimate story lines…it’s like reading a Choose Your Own Adventure Book…only you get to choose who you’re rooting for. Finally, the depth added to the real hero–Bartimaeus–brings you into the story and is quite engaging. So, in short, Book 2 is a great read*…I highly recommend it. I recently launched into a new book….now, before I go on, I have to confess, I was never a book reader as a kid, but, after I got through all 7 Potter books, I said to myself, that was thousands of pages of reading…I have time for this kind of stuff! So, back to the point. I’ve become quite a closet fan of Stephenie Meyer. Her Twilight series is adored by teenie bopper girls the world over…but, I have to say, I like her writing style (plus, most of her books have some foundation in some really great music. Check out her playlists..she often writes an entire book based on a Muse album, or some other great indie band). It’s riveting and thought-provoking. 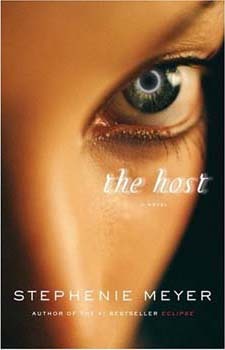 I just picked up her newest book, The Host, for my wife, the Indie girl. My first reaction–it’s a new spin on an old theme. She’s basically re-wrote Invasion of the Bodysnatchers, the classic 50s movie, with an angle on romance and mystery. I have to say, I like it. It’s intriguing. She also personalizes the “snatchers” more, which makes the read even more invigorating…from the get go, she has you wondering which side you should really be on. Overall, I’d say it’s definitely worth picking up…Don’t be fooled by the copy-cat story premise, it’s got some deeper plot scenarios and, as usual, the most in-depth development of characters I have seen since Mark Twain.